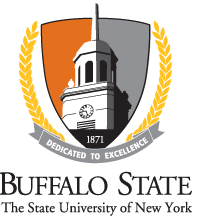 The primary purpose of the Buffalo State Financial Management area is to assist campus management in administration of state-appropriated and Foundation funds. The Budget Office interacts with SUNY System Administration to coordinate campus budget activities and serves as the primary office for institutional budgetary communications. Locally the Financial Management Office provides financial support to executive areas in a manner consistent with the campus mission and institutional policies. This is accomplished through processing, monitoring program and position resources, reporting, formal and informal training sessions, and institutional policy development.